Home Travel Asia Fascinating facts about Sri Lanka that you don’t even guess! Fascinating facts about Sri Lanka that you don’t even guess! Sri Lanka – one of the states of South Asia, which with every year attracts tourists more often. Travelers are attracted by tropical forests and warm waters of the Indian Ocean, a rich history of the country, incredibly unique cuisine, delightful landscapes and the riot of the colors of nature. Today I would like to share with you some interesting facts about this country, which you probably never heard. But in fact, you can discover all this on your own and find out even more interesting and amazing facts choosing your very own Sri Lanka tour packages. The name of the country Sri Lanka in Sanskrit means a “Blessed Land”. The most esteemed Buddhist shrine is the “The Tooth of Buddha”, which is conserved in the temple in the city of Kandy. The country gained its independence from Great Britain, in 1948, but became a full-fledged state only 24 years later. 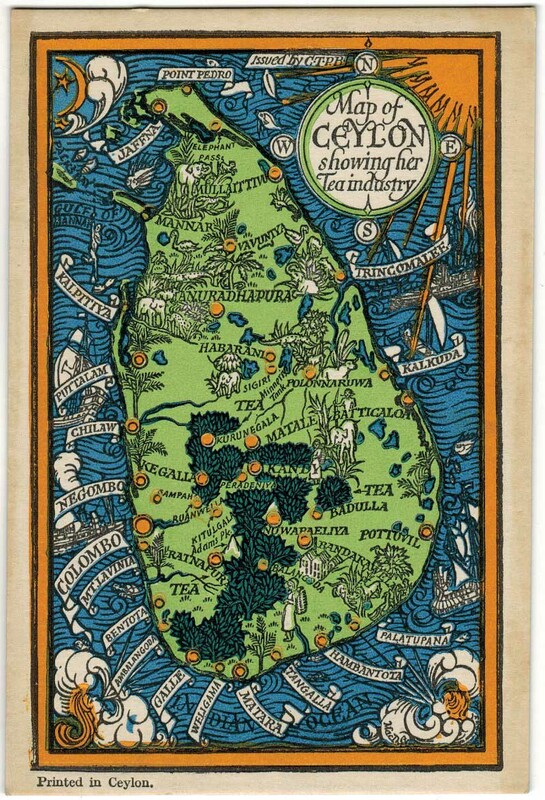 At that time the country was called Ceylon. The country gained its independence from Great Britain, in 1948, but became a full-fledged state only 24 years later. At that time the country was called Ceylon. Symbol of the country is an elephant and this animal is very honored here. Elephants live everywhere in this country: in reserves, in temples, and in tropical forests. Sometimes they raiding the villages, destroying everything in their path searching for the salt – the favorite delicacy of the elephants. Actually, you can even buy an elephant in Sri Lanka. This pleasure will cost you about $ 100 K. You will even be given special documents for the elephant. Another official symbol of the country is the Water Lily the flower is considered a symbol of truth, purity, and discipline. Poya Day is a name for any holiday in Sri Lanka that is held to mark a full moon. These, are the days off in Sri Lanka, nothing will work these days: not a commercial or state organization. By the way, you will not be allowed to drink alcohol. The New Year is celebrated according to the Lunar calendar. The Lunar cycles are calculated by the local astrologers. Usually, the New Year to be celebrated in April. You will often meet women or monks walking along the streets under an umbrella. But it does not mean that they are hiding from the rain but from the sun. This is part of the culture. Most of the women still wearing a saree – stewardesses, teachers, workers in institutions, even the motorcycle riders they all adore their traditional clothes. Locals like to play a cricket, especially after the Sri Lanka national team won the Cricket World Cup in 1996. Divorces are very rare in Sri Lanka, because, in this case, a man will be obligated to pay half of his income to his ex-wife for the rest of his life. Sri Lanka became famous to the world for its precious stones. Basically, the main extraction of the stones is concentrated near the Ratnapura, known as the ‘City of Gems’. There you can find sapphires, topazes, and tourmaline, rubies, moonstone, “tiger’s eye” and “cat’s eye.” The most valuable stone, that is even more expensive than diamonds is Sinhalite. Sri Lanka tour packages usually include the visit to this amazing location. It is a yellow stone and is named after the indigenous folks of Sri Lanka. When you buy precious stones in Sri Lanka kindly request a certificate of authenticity. Otherwise, you can bring home a box of colored glass. Ceylon’s cuisine is famous for its curry spices. They are sharp and soft. Usually, it is added to the rice or to vegetables. To soften the spices, the Sri Lankans use coconut juice. By the way, this is the most important and popular product in the country. An interesting fact is that the cinnamon in Sri Lanka was first discovered not by the locals, but by the Egyptians. In Sri Lanka is located the largest in South Asia, Royal Botanical Garden with a magnificent orchid greenhouse. Tourists love to add to their Sri Lanka tour packages the excursions to high mountainous areas to visit tea plantations.